President Muhammadu Buhari is to attend the 5th European Union-African Union (EU-AU) Summit holding in Abidjan, Cote d’Ivoire. Mr. Femi Adesina, Special Adviser to the President (Media & Publicity), said in a statement on Monday that summit which would hold from November 28 -29 has as its theme, “Investing in the Youth for a Sustainable Development”. The President will participate in working sessions and meet with a number of African Heads of State and their European Union counterparts. Buhari will use the occasion of the summit to reiterate Nigeria’s readiness to work with African and European countries to address the challenges such as peace and security. 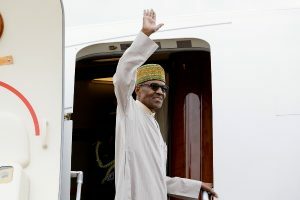 The Nigerian leader will attend the official luncheon to be hosted by the government of Cote d’Ivoire in honour of visiting Heads of State and Government and other delegations. According to the organizers, 83 Heads of State representing 55 African countries and 28 European countries are slated to attend this high-level meeting. The governors of Akwa Ibom and Bauchi States and some ministers are among the top government officials that will accompany President Buhari.